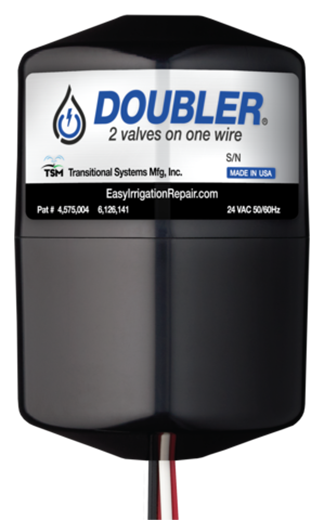 DOUBLER allows you to quickly add new valves or bypass broken valve wires. Simply connect two valves on one set of wires and control each valve separately from the controller. Doubler is the go to solution for broken valve wires by irrigation professionals that want the job right the first time. Control each valve connected to Doubler as if it were hard wired to the controller. 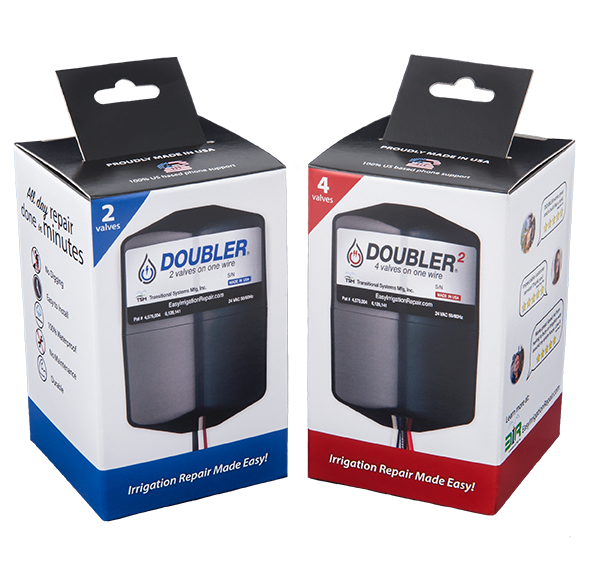 Install Doubler in the valve box without worrying about water damage or extra protection. Doubler works with any 24 VAC controller including the newest smart WiFi controllers. Complete an all day job in just minutes by easily connecting two valves to Doubler. Doubler can be installed any distance from the controller. Works great! Saved me from having to bury an irrigation wire around my entire house. Love it. The directions were easy to follow. Installation was quick and easy. DOUBLER worked GREAT!!! How do I add new valves with Doubler? Simply connect your new valve and an existing valve to your Doubler using the installation instructions. How far can you install Doubler from the controller? You can install Doubler any distance from the controller. As long as you have the voltage to operate the valves, Doubler will run them. How durable is Doubler to install in the valve box? 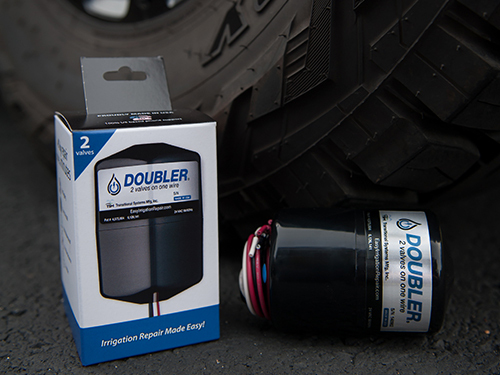 You can safely install Doubler in the valve box without worry because it's 100% waterproof. Our products are designed and engineered for long service life and worry free operation. All products are individually tested before leaving our factory. What if I suspect my Doubler is not working properly? 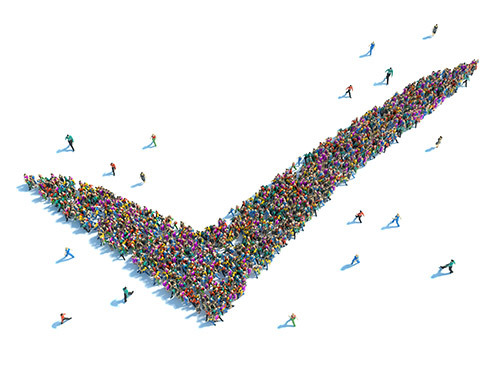 Visit our support page to find testing instructions for your unit. Does Doubler come with a warranty? Yes. Doubler is backed by our comprehensive 1 year full replacement warranty against defects. You can check if you product is under warranty using our warranty check page here. What if I need to return Doubler under warranty? We have a simple and fast warranty return process. Not that you have anything to worry about since our warranty returns are consistently less than 1/4 of 1%. Visit our support page to get started. Will Doubler work with my Rachio controller? Yes. Doubler works with all 24 VAC controllers including new smart controllers and legacy controllers. Is Doubler really made in the USA? Yes. Doubler, as well as all of our other products, are proudly made in the USA. Does Doubler require any maintenance? Nope! All of our products are virtually maintenance free.